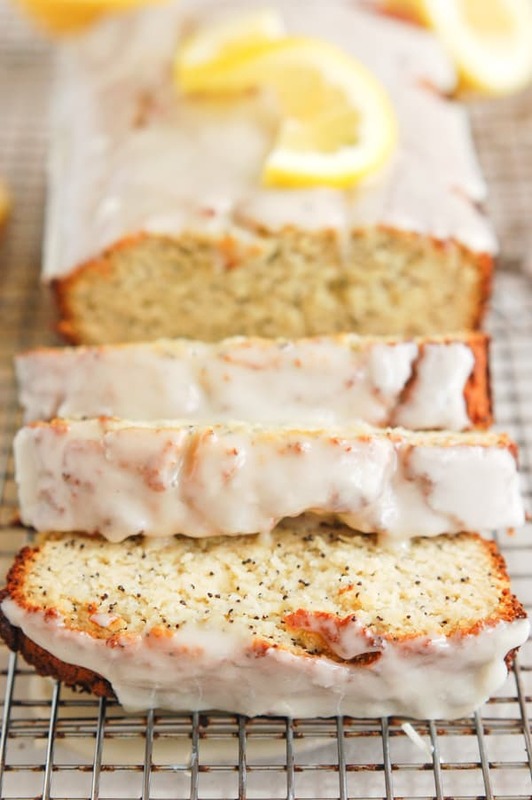 We live for lemon poppy seed everything in this house. Seriously, that was always one of the key flavors of my childhood. My mom used to always bring home lemon poppy seed muffins, which is why I also created a healthier version of my beloved favorite: oat flour lemon poppy seed muffins. 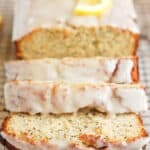 This bread is moist, lemony, soft, fluffy, and one bite in automatically makes you channel spring. 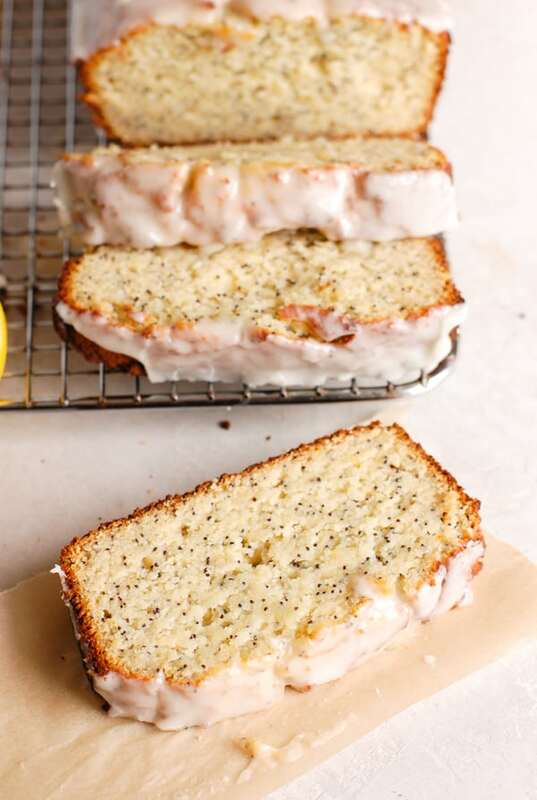 Each bite is speckled with plenty of poppy seeds and fresh lemon, taking you back to your childhood (or at least mine!) 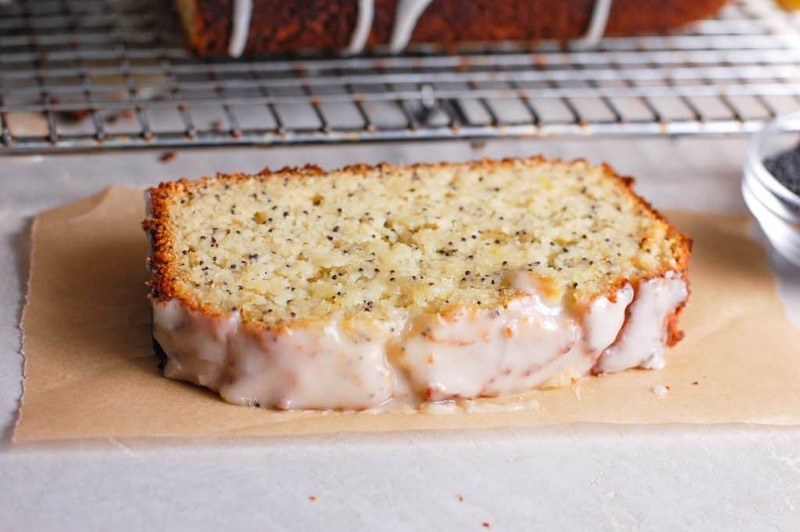 when lemon poppy seed everything flooded your kitchen. Breakfast bread, afternoon snack, dessert at night…whenever you want, this bread is a refreshing treat filled with real food and wholesome ingredients. 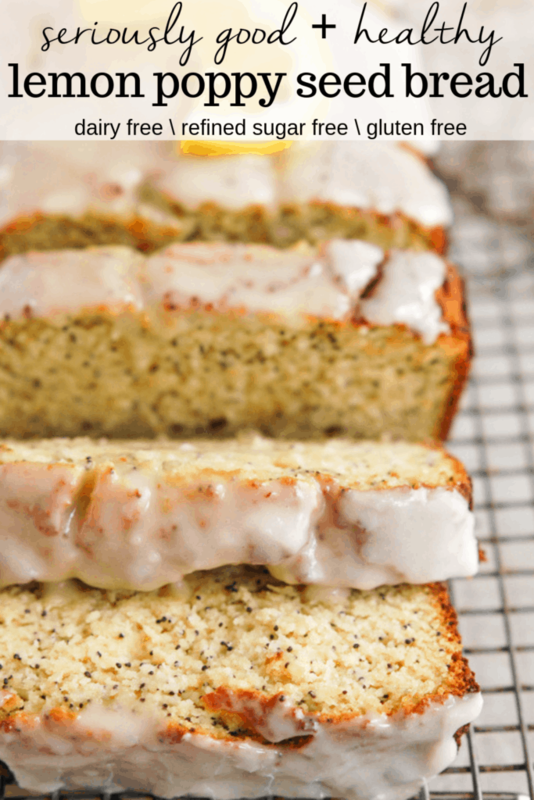 The right amount of lemon mixes with the almond flour and coconut flour to create a sweet, yet slightly nutty take on traditional lemon poppy seed bread. 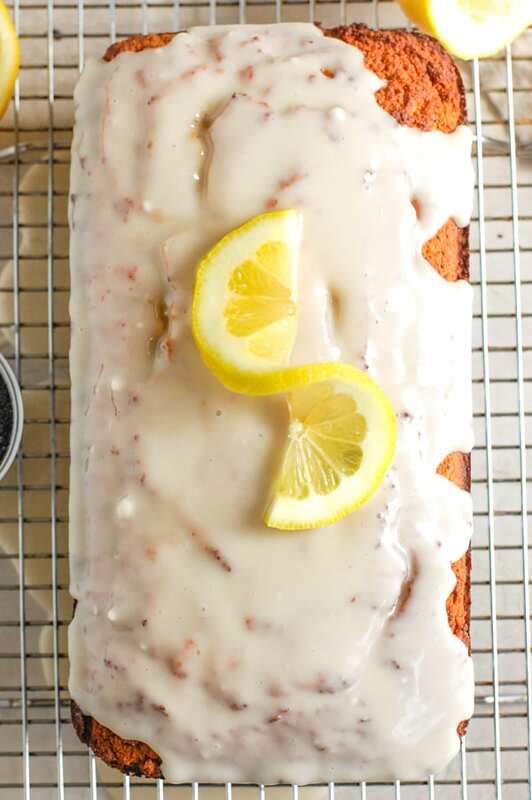 Iced with a delicious lemon glaze that is simple to make, refreshing, and adds the perfect bit of sweetness to the top of this bread. I like a thick glaze so I keep the liquid to a minimum, but if you prefer its more runny, go ahead and add some more milk to it. No weird ingredients!! I like to keep my breads simple. This is only a combination of two gluten free flours: almond flour and coconut flour. Easy. All you need to do is mix your ingredients together and throw it in the oven and boom. Done. Low carb. Watching your carbs or just want something that is more nutrient dense? Low carb doesn’t mean no flavor. 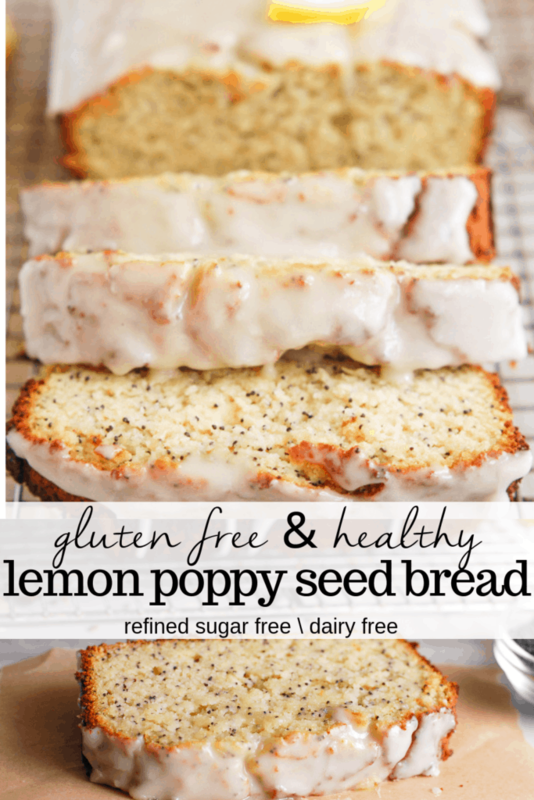 In fact, I like this lemon poppy seed bread better than the traditional bread. Uses honey as the only sugar replacement. Perfect to make for an Easter brunch, or heck, any holiday brunch at all. Also perfect for a mid-morning healthy snack or dessert after dinner. How do you make this bread? First. Zest that lemon like you’ve never zested before. But really, I like to zest the lemon first because it just puts me in a good mood with the fresh lemon scent. Then you throw all your dry ingredients in a bowl. Whisk up all your wet ingredients in another bowl. Add those dry ingredients to the wet ingredients, add in your poppy seeds and your lemon zest, and pour into a bread loaf pan. Then bake! While it’s baking prepare your glaze by whisking all of the ingredients together. 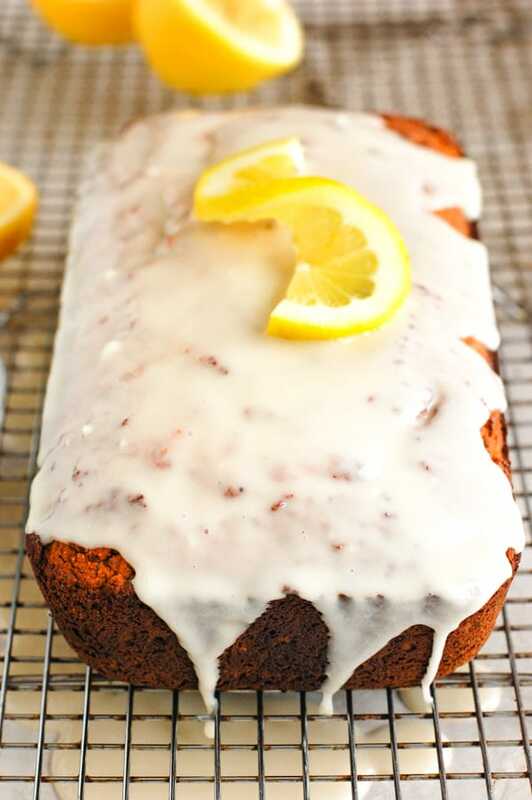 Once completely cooled, ice your fresh lemony loaf and serve! The best way to store this bread is on the counter for up to 48 hours, or in the fridge after that! This icing is to die for. Also love how nice and moist it is! Sounds really tasty!! I’m wondering about the “uses maple sugar as the only sugar replacement” comment but I don’t see maple sugar in the recipe card. How much maple sugar and in what step is it used? Honey!! No maple sugar or maple syrup. Sorry about the confusion, the post has been updated. This cake is amazing!! So moist and fresh, but not too sweet! 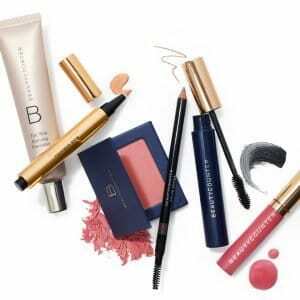 So happy you like it, Jennifer!! Thanks for sharing! The texture, moisture, and taste of this bread are awesome!! I really like the level of sweetness, and my kids like some extra glaze. 😉 I’m amazed at how spot-on your proportions always are; this bread is light and not dense at all (like some gluten free breads/muffins). Hi Makenna! Yes they would be great! Just reduce baking time slightly and watch so they dont get brown (use a foil cover). These are made with coconut and almond flour and the other muffins have oat flour and greek yogurt! Seriously one of the best healthy baking recipes I’ve tried. This is now a repeat recipe for me! Totally delicious. Thanks Erin!! Aw, that is great to hear! Thank you so much for sharing Rebecca!! Could I also replace eggs with flax eggs here? Unfortunately, the eggs are necessary for this recipe!